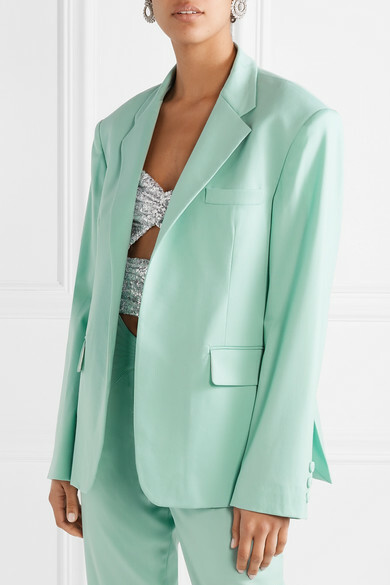 PorterEdit rules that a colorful suit is one of the freshest tailoring options for Spring '19. 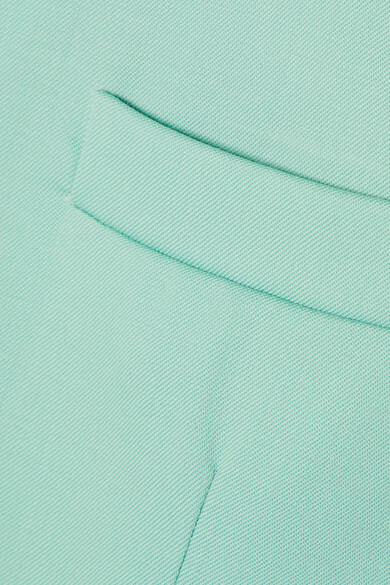 The perfect match to these pants, Attico's blazer has been made in Italy from mint wool-blend gabardine. 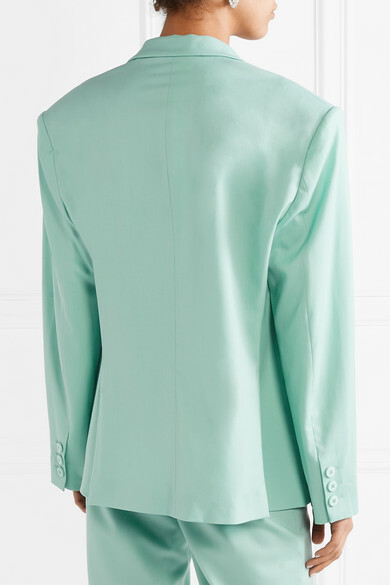 It's cut for a loose, boxy fit and has '80s-inspired padded shoulders. Shown here with: Attico Top, Attico Pants, Attico Clutch, Giuseppe Zanotti Sandals, Oscar de la Renta Earrings.